Ramadan is the month of change. The whole universe changes in Ramadan. This month has been a time for great worldly changes throughout history. During the month of Ramadan, Prophet Musa [alayhi] passed away as mentioned by Al-Hasan ibn Ali ra?y All?hu ‘anhu (may All?h be pleased with him). During Ramadan, Jesus was raised to the heavens, as reported by al-Hakim, and in Ramadan, the Qur’an was revealed. During the life of the Prophet ?allall?hu ‘alayhi wa sallam (peace and blessings of All?h be upon him), Ramadan was the host for the occurrence of important historical events and for great people to rise or pass on. In it, great relief came and great victory was achieved which changed the course of life for the Muslims of that time. The death of his beloved wife Khadijah ra?yAll?hu ‘anha (may All?h be pleased with her) on the 10th of Ramadan impacted him personally. The great victory at the decisive Battle of Badr in 2 AH happened on the 17th of Ramadan, and it witnessed the death of the heads of the Mushrikin of Quraysh, such as Abu Jahl. The digging of the Trench around Madinah took place in Ramadan of year 5 AH. On the 8th of Ramadan, another crucial event took place. Mecca was conquered, which marked the ending of Shirk in the Arabian Peninsula and the purification of Al-Ka’bah from the idols. Over 360 idols around Al-Ka’bah were destroyed by Rasul Allah ?allall?hu ‘alayhi wa sallam (peace and blessings of All?h be upon him) and his companions. On the 25th of Ramadan of that year, the “Uzza” idol, which was the greatest idol the Arabs had ever known was destroyed at the hands of Khalid ibn al-Waleed. Following that, the Laat idol of Thaqeef was demolished by the hands of Abu Sufyan, Khalid and al-Mughirah. Not long before that, those men had been fighting to protect those very idols as they used to worship them, but now everything had changed. In the Ramadan of the 9th year of Hijrah, the Prophet ?allall?hu ‘alayhi wa sallam (peace and blessings of All?h be upon him) returned victorious from Tabook after he regained control of the area and let the Romans and the Persians know that there was a new young nation in Arabia that would only grow and not be intimidated. Also during that blessed month of that year, the tribe of Thaqeef came around after 20 years of enmity and rejection of Islam and accepted the faith. The kings of Himyar in Yemen came to the Prophet ?allall?hu ‘alayhi wa sallam (peace and blessings of All?h be upon him) to declare that the time of change had come, and they embraced Islam. Six months after the death of the Prophet ?allall?hu ‘alayhi wa sallam (peace and blessings of All?h be upon him), his most beloved child and the one that resembled him the most, Fatimah ra?yAll?hu ‘anhu (may All?h be pleased with him), also passed away. Ramadan continued to be the month of change and great events over the years, a blessed month for the Muslim nation. During the year 13 AH in Ramadan, Al-Muthanna Ibn Harithah and his army won the most important battle for Muslims in Iraq known as Al-Buwaib, and it was the gateway to opening the land of Iraq as well as the downfall of the Persian Empire. Sudan and the south of Egypt had become Muslim lands of freedom and justice after the Muslims’ army led by Abdullah Ibn Abi As-Sarh arrived there in the Ramadan of the year 31 AH. The death of Ali Ibn Abi Talib at the hands of the Khawarij marked a change in the way the Khilafah would be determined. This tragic event, which highlighted the extreme dangers of innovation, took place on a Friday at Fajr time in Al Kufah (present-day Iraq) during the 17th of Ramadan of the year 40 AH. Then we have the legacy of the Mother of the Believers, Aisha. She paved the way for women by being a positive example to emulate as well as what stances they should take to help develop the society. She passed away in the Ramadan of the year 58 AH. She inspired women for over the centuries to learn, teach and lead. Aisha’s (RA) life remains an unprecedented and enduring example for the world. The false prophet Al-Mukhtar ibn Abi ‘Ubayd Al-Thaqafi, not only claimed prophethood, he also killed hundreds of thousands of people and managed to spread fear and falsehood throughout Arabia and Iraq. He was killed and his movement was defeated in Ramadan during the year of 67 AH by the hand of Mus’ab ibn Al-Zubair at Kufah. The 28th of Ramadan year 91 AH brought forth the Muslims entering Al-Andalus with twelve thousand soldiers led by Tariq ibn Ziyad, who managed to defeat one-hundred thousand soldiers from the Spaniards. They then allowed thousands to enter Islam and for years to come the Islamic civilization in Spain was a beacon of diversity, tolerance, advancement in human thought and scientific discovery. 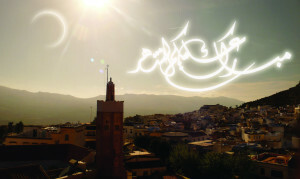 As things were changing in the West, a great change also happened in the East in the year 92 AH on the 6th of Ramadan. Mu?ammad ibn Al-Qasim landed in Al-Sindh (Pakistan today), and the great land of India turned towards becoming a Muslim land and it witnessed the establishment of many great dynasties and Islamic civilizations. In the year 95 AH during Ramadan, Al-Hasan Al-Basri made Sujood Al-Shukr (prostration of Thanks) when the news came of Al-Hajjaj’s death, marking the end of a dark era filled with injustice and the killing of many innocent people. The Roman king of ‘Ammuryah, killed many Muslim men, sent their ears and noses to nearby Muslim cities with orders to submit to his rule. Not only that, he had thousands of Muslim women enslaved and raped. No one dared to attack his castle due to its known strategic position and its long, impregnable walls. However, that came to change in the 6th of Ramadan of the year 223 AH by the hand of the ‘Abbasi Khalifa, Al-Mu’tasim ra?yAll?hu ‘anhu (may All?h be pleased with him), who eradicated those walls and freed the prisoners. Later, the Muslim nation suffered many defeats at the hand of the Mongols. Genghis Khan and his soldiers, spread fear and terror in the hearts of all they threatened. The situation was so dire that no one was willing to fight and instead they willingly offer themselves to be martyred. This humiliation and status of fear changed during the 15th of Ramadan in the year 658 AH, when Prince Qutuz defeated the Mongols for the first time in the battle of ‘Ayn Jaloot. A second defeat was served to the Mongols that took place on the 5th of Ramadan in the year 702 AH after the battle of Shaqhab which lasted for 3 days and ended with a glorious victory for the Muslims. King Al-Naser came back carrying the news to his people and the rest of the world that the Mongols had been killed, defeated and on the run. Ramadan in 1973 brought forth the first time that Egyptian forces defeated Israel’s military in battle and thus changed the perception across the Arab world that the Israeli army was invincible. The events of this war paved the way for the subsequent peace process, returned the Sinai to Egypt and brought all sides of the conflict to direct, public peace negotiations the first time since 1948. We can go on and on over the history of Ramadan and what happened in it, but the most important change that can take place in Ramadan (and it could very well be in this Ramadan), is the change that will happen in YOU. Are you going to improve your relationship with the salah so you will not delay it? It will not be at the end of your to-do list. Are you going to be able to focus and contemplate about what you’re reading and supplicating?Are you going to sharpen your attention towards the Sunnah acts and start caring for the Sunnah prayer as well as all the little things here and there that we miss simply because they are Sunnah? Is my relationship with my family going to change and be based on love, trust, and respect? Are my friends and relatives going to see improvement in my attitude towards them and how much I care for and am nice to them? Is my masjid and community going to see me more often and will I start being a producer, not only consumer? A team player and not just a fan who watches from a distance? Above all, will Allah see me changing and coming closer to Him, learning His Deen, following His Shari’ah, and always thinking about the day that I will meet Him? The change that we seek to see in this world must begin with ourselves. Will Ramadan 2014 be the most important and transcendent month of your life? I invite you and everyone else who believes in Allah as well as the Hereafter to begin thinking about and planning how to make this your best Ramadan ever. 2- I will take days off or maximize my benefit from the weekends by making itikaf, coming early to every salah the masjid, and leaving much after the salah has ended (i.e. not leaving immediately after praying). 3- I will plan a family program in Ramadan to help one another as husband and wife, as well as parents and children. 4- I will have a Ramadan buddy who will motivate me to start strong and finish Ramadan stronger. 5- I will dedicate time to help my community and take part in beneficial socialization. Also, I will try making Iftar and inviting people over, but not at the expense of missing any prayers nor solely for socializing. May Allah make this a blessed month for us and for our Ummah, and may He accept us to be among His beloved servants. May Allah’s peace and blessing be upon Muhammad, his family, his companions and his followers until the Day of Judgment.